Once you get past the crunchy glass shell the burst of flavor from the tungsten filament is to die for! Zowie! Not many people are aware of the ancient practice of eating lightbulbs..Umm probably for good reason considering all the glass.. wire.. and metal… sheesh! I suppose you can develope a taste for anything. 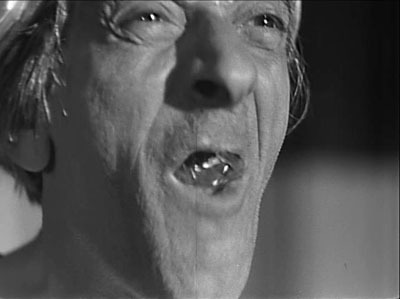 I prefer mine in their sockets.. Read below and shudder..
Melbourne, May 4 (ANI): A middle-aged man claims to have eaten 1500 light bulbs over his life after developing a liking for their crispness. “I accidentally swallowed a piece of thick fish bone, but nothing happened. With curiosity, I tried several pieces of broken glasses secretly and nothing happened also,” the Daily Telegraph quoted him as saying. “I am not eating it every day, but from time to time. I only eat the light bulb during my breakfast, and each day no more than one bulb,” he said. Zoinks! I have seen lightbulbs used for many strange and varied things in my time.. but this one can cook your bird! The people at Householdhacker.com have made the following video to show how you can cook your Thanksgiving Turkey with a light bulb! Why didn’t I think of that? In this special Thanksgiving episode we will show you how to cook a turkey using a light bulb and 4 DVD-R discs. Happy Thanksgiving from Household Hacker! Our website is at: http://www.householdhacker.com. Posted by Dr. Z Bulbs in LED Lights. Zoinks! Have you heard about the latest fashion coming out of Japan? LED Eyes! Check out this from the Dangerous Minds Blog! I know the LED Eyelash craze is sorta old news. However, I’ve never seen the video of the eyelashes in action. LED Eyelash is a clever product that speaks to many Asian women’s desire for bigger eyes. It features an inclination sensor with mercury to turn on and/or off. The sensor can perceive the movements of the pupil in the eyes and eyelids. If someone wears it and moves her head, LED Eyelash will flicker following the movement. Dr. Z sings a song. “I’m a little light bulb” for his Mom. Keyboards and drum machine supplied by Kraftwerk influenced musician Hans Wagner (who is perhaps best known for his work with Jazzhorse and Gnome Machine) Dr. Z will be playing at select nightclub in Las Vegas in between the Koko’s Burlesque and John Wackers’ “Elvis Ate My Sandwich” revue, which explores the culinary vision of the king of rock n roll. Fried Peanut Butter and Banana sandwiches anyone? Zoinks! Its me Dr. Z! Would you believe that I now have my own dance contest? Zbulbs has decided to create a competition based on my “Dance of the 7 Spirals!” You can win an IPOD CLASSIC! 1. DESCRIPTION OF THE CONTEST: The “Dance of the Seven Spirals” Contest (“Contest”) is designed to encourage our customers and potential customers to become more involved in Zbulbs.com as an online provider of lighting products. Prizes will be awarded to those who submit the most creative and inspiring videos. Each video should appeal to Zbulbs audience, and each winner will be determined by the judges in their sole discretion, and in accordance with these Official Rules. 2. ELIGIBILITY: This contest is open only to individuals who submit original videos that they have personally created to YouTube as described below. At the time of entry each entrant must be the legal age of majority in their country, province or state of legal residence and must be a resident of the United States. Persons in any of the following categories are not eligible to participate or win the prize(s) offered: (a) Employees of Zbulbs.com. Their parent companies, affiliates and subsidiaries, participating advertising and promotion agencies. (b) immediate family members (defined as parents, children, siblings and spouse, regardless of where they reside) and/or those living in the same household as any person in (a). You must have access to the Internet and a valid email address in order to enter or win. 3. HOW TO ENTER: This contest begins at 12:01 A.M. Central Standard Time (CST) zone in the United States, on June 1st, 2009 and ends at 11:59 P.M. (CST) on December 1st 2009 (“Contest Period”). IMPORTANT NOTICE TO ENTRANTS: EACH ENTRANT IS RESPONSIBLE FOR DETERMINING THE CORRESPONDING TIME ZONE IN HIS/HER RESPECTIVE JURISDICTION. THE SUBMISSION: Create a video that is approximately 1 to 3 minutes in length. You may submit multiple Entries, so long as each Entry meets all requirements. Each Entry should be original, creative, and appeal to Zbulbs.com audience. Be creative! To enter you must register at www.zbulbs.com To do this you will need to register with YouTube. YouTube registration is free. Once you have completed the registration process and have created your video, upload it to your YouTube account, marking it as PUBLIC. Once that process is complete, return to the contest registration page at http://www.zbulbs.com and complete the email registration requirements. All Entries must be in English. Registration or Entries that are in any other language will not be considered. Entries that are lewd, obscene, pornographic, disparaging of the Sponsor or otherwise contain objectionable material may be disqualified in the Sponsor’s sole and unfettered discretion. Only original submissions that are personally created will be eligible to win. 5. JUDGING: Zbulbs.com will select monthly winners on or around the first of the months starting in July 2009 through December 2009. Best Monthly Video Winners will be judged again at the end of the Contest Period: (1) Grand Prize Winner will be selected by a panel of experts, who will judge each Entry, based on the following equally weighted criteria: originality, creativity, appeal to Zbulbs.com audience. In the event of a tie, the person among the tied Entries with the highest score in creativity will be declared the winner. Zbulbs.com will select one grand prize winner. The grand prize winner will be selected by a panel of experts, who will judge all Entries received throughout the entire promotion based on the listed criteria. Decisions of judges are final and binding. Winners will be notified by email and or phone and or mail at Sponsors sole discretion. 6. PRIZES AND APPROXIMATE RETAIL VALUES: Zbulbs.com will award (1) Grand Prize. The Grand Prize will consist of one (1) Ipod Classic. The approximate retail value of the Grand Prize is U.S. $250. Cash will not be substituted for any prize. Any other expenses not specified herein are the sole responsibility of the winner. Any REQUIRED TAXES AND ANY APPLICABLE WITHOLDING AND REPORTING REQUIREMENTS ARE THE SOLE RESPONSIBILITY OF THE WINNER. All costs associated with currency exchange are the sole responsibility of the winner. 7. CONDITIONS OF PARTICIPATION. Sponsor reserves the right to substitute a prize for an item of equal or greater value in the event all or part of a prize becomes unavailable. Prizes are awarded without warranty of any kind from Sponsor, express or implied, without limitation, except where this would be contrary to federal, state, provincial, or local law or regulation. All federal, state, provincial and local laws and regulations apply. Submission of entry into this Contest deems that entrants agree to be bound by the terms of these Official Rules and by the decisions of Sponsor, which are final and binding on all matters pertaining to this Contest. Return of any prize/prize notification may result in disqualification and selection of an alternate winner. Any potential winner who cannot be contacted within 15 days of first attempted notification will forfeit his/her prize and an alternate may be selected. Potential prize winner(s) may be required to sign and return a Declaration of Eligibility/Liability & Publicity Release within 30 days following the date of first attempted notification. Failure to comply within this time period may result in disqualification and selection of an alternate winner. The intellectual and industrial property rights to the contest submission, if any, will remain with the participants, except that these terms do not supersede any other assignment or grant of rights according to any other separate agreements between participants and other parties. As a condition of entry, participants agree that Zbulbs.com shall have the right to use, copy, modify and make available the, administration, advertising and promotion of the Contest via communication to the public, including, but not limited to the right to make screenshots, animations and video clips available to the public for promotional and publicity purposes. Notwithstanding the foregoing, ownership of and all intellectual and industrial property rights in and to the video. Acceptance of the prize constitutes permission for, and winners consent to Zbulbs.com and its agencies to use a winner’s name and/or likeness and entry for advertising and promotional purposes without additional compensation, unless prohibited by law. To the extent permitted by law, entrants agree to hold Sponsor, its parent, subsidiaries, agents, directors, officers, employees, representatives and assigns harmless from any injury or damage caused or claimed to be caused by participation in the Contest and/or use or acceptance of any prize won, except to the extent that any death or personal injury is caused by the negligence of the Sponsor. Sponsor is not responsible for any typographical or other error in the printing of the offer, administration of the Contest or in the announcement of the prize. A participant may be prohibited from participating in this Contest if, in the Sponsor’s sole discretion, it reasonably believes that the participant has attempted to undermine the legitimate operation of this Contest by cheating, deception, or other unfair playing practices or annoys, abuses, threatens or harasses any other participants, the Sponsor or associated agencies. In the event a winner/potential winner’s employer has a policy which prohibits the awarding of a prize to an employee, the prize will be forfeited and an alternate winner will be selected. 8. NO RECOURSE TO JUDICIAL OR OTHER PROCEDURES: To the extent permitted by law, the rights to litigate, to seek injunctive relief or to make any other recourse to judicial or any other procedure in case of disputes or claims resulting from or in connection with this contest are hereby excluded, and any participant expressly waives any and all such rights. Participants agree that these Official Rules are governed by the laws of the state of Nevada, USA. 10. WARRANTY AND INDEMNITY: Each entrant certifies that their entry is original and that they are the sole and exclusive owner and right holder of the submitted Entry, and that they have the right to submit the Entry in the Contest. Each entrant agrees not to submit any Entry that (1) infringes any 3rd party proprietary, intellectual property, industrial property, personal rights or other rights, including without limitation, copyright, trademark, patent, trade secret or confidentiality obligation; or (2) otherwise violates applicable law in any countries in the world. To the maximum extent permitted by law, each entrant indemnifies and agrees to keep indemnified the Sponsor, its parent, subsidiaries, agents, directors, officers, employees, representatives and assigns harmless at all times from and against any liability, claims, demands, losses, damages, costs and expenses resulting from any act, default or omission of the participant and/or a breach of any warranty set forth herein. To the maximum extent permitted by law, each participant indemnifies and agrees to keep indemnified the Sponsor, its parent, subsidiaries, agents, directors, officers, employees, representatives and assigns harmless at all times from and against any liability, actions, claims, demands, losses, damages, costs and expenses for or in respect of which the Sponsor will or may become liable by reason of or related or incidental to any act, default or omission by a participant under these Official Rules including without limitation resulting from or in relation to any breach, non-observance, act or omission whether negligent or otherwise, pursuant to these official rules by a participant. 11. ELIMINATION: Any false information provided within the context of the Contest by any participant concerning identity, postal address, telephone number, ownership of right or non- compliance with these rules or the like may result in the immediate elimination of the participant from the Contest. Sponsor further reserves the right to disqualify any Entry that it believes in its sole and unfettered discretion infringes upon or violates the rights of any third party or otherwise does not comply with these official rules. 12. INTERNET: Sponsor is not responsible for electronic transmission errors resulting in omission, interruption, deletion, defect, delay in operations or transmission. Sponsor is not responsible for theft or destruction or unauthorized access to or alterations of entry materials, or for technical, network, telephone equipment, electronic, computer, hardware or software malfunctions or limitations of any kind. Sponsor is not responsible for inaccurate transmissions of or failure to receive entry information by Sponsor on account of technical problems or traffic congestion on the Internet or at any Web site or any combination thereof, except to the extent that any death or personal injury is caused by the negligence of the Sponsor. If for any reason the Internet portion of the program is not capable of running as planned, including infection by computer virus, bugs, tampering, unauthorized intervention, fraud, technical failures, disruption or termination of the YouTube.com website for any reason or any other causes which corrupt or affect the administration, security, fairness, integrity, or proper conduct of this Contest, Sponsor reserves the right at its sole discretion to immediately cancel, terminate, modify or suspend the Contest. Sponsor reserves the right to select winners from eligible entries received as of the termination date. Sponsor further reserves the right to disqualify any individual who tampers with the entry process. Caution: Any attempt by a contestant to deliberately damage any web site or undermine the legitimate operation of the contest is a violation of criminal and civil laws and should such an attempt be made, Sponsor reserves the right to seek damages from any such contestant to the fullest extent of the law. 14. WINNER’S LIST: For winner’s names, log onto http://www.zbulbs.com/dancecontest on or about January 1st, 2010 ñ February 1st, 2010. 15. SPONSOR: The Sponsor of this Contest is ZBULBS.com, P.O. Box 59729, Henderson, Nevada 89016 / 3838 Rayment Drive Suite # 3, Las Vegas, Nevada 89121. YouTube.com is not associated or affiliated with this Contest in any manner. Zbulbs Dance of the Seven Spirals. The “Dance of the Seven Spirals” Contest (“Contest”) is designed to encourage our customers and potential customers to become more involved in Zbulbs.com as an online provider of lighting products. Prizes will be awarded to those who submit the most creative and inspiring videos. Each video should appeal to Zbulbs audience, and each winner will be determined by the judges in their sole discretion, and in accordance with these Official Rules. Posted by Dr. Z Bulbs in light bulb, List Article. Zoinks! Just when you thought incandescent light bulbs were out for the count, Lasers come to the rescue. Below is an article from Science Daily that talks about super bulb! The key to creating the super-filament is an ultra-brief, ultra-intense beam of light called a femtosecond laser pulse. The laser burst lasts only a few quadrillionths of a second. To get a grasp of that kind of speed, consider that a femtosecond is to a second what a second is to about 32 million years. During its brief burst, Guo’s laser unleashes as much power as the entire grid of North America onto a spot the size of a needle point. That intense blast forces the surface of the metal to form nanostructures and microstructures that dramatically alter how efficiently can radiate from the filament. In 2006, Guo and his assistant, Anatoliy Vorobeyv, used a similar laser process to turn any metal pitch black. The surface structures created on the metal were incredibly effective at capturing incoming radiation, such as light. “There is a very interesting ‘take more, give more’ law in nature governing the amount of light going in and coming out of a material,” says Guo. Since the black metal was extremely good at absorbing light, he and Vorobyev set out to study the reverse process—that the blackened filament would radiate light more effectively as well. In addition to increasing the brightness of a bulb, Guo’s process can be used to tune the color of the light as well. In 2008, his team used a similar process to change the color of nearly any metal to blue, golden, and gray, in addition to the black he’d already accomplished. Guo and Vorobeyv used that knowledge of how to control the size and shape of the nanostructures—and thus what colors of light those structures absorb and radiate—to change the amount of each wavelength of light the tungsten filament radiates. Though Guo cannot yet make a simple bulb shine pure blue, for instance, he can change the overall radiated spectrum so that the tungsten, which normally radiates a yellowish light, could radiate a more purely white light. Guo’s team has even been able to make a filament radiate partially polarized light, which until now has been impossible to do without special filters that reduce the bulb’s efficiency. By creating nanostructures in tight, parallel rows, some light that emits from the filament becomes polarized. The team is now working to discover what other aspects of a common light bulb they might be able to control. Fortunately, despite the incredible intensity involved, the femtosecond laser can be powered by a simple wall outlet, meaning that when the process is refined, implementing it to augment regular light bulbs should be relatively simple. Guo is also announcing this month in Applied Physics Letters a technique using a similar femtosecond laser process to make a piece of metal automatically move liquid around its surface, even lifting a liquid up against gravity. This research was supported by the U.S. Air Force Office of Scientific Research. Zoinks! Its me! Dr. Z! Boy oh boy we have a treat for you all now. Two brand new video’s of my adventures in and out of Lighthouse Labratories. See me perform my most mysterious Dance of the Seven Spirals! See Mr. Y learn his lesson when he mixes guns and bad lighting decisions! Watch and Enjoy! Zowie! The continued interested in ancient Egyptian Lightbulbs has inspired me (Dr. Z) to post yet another fact filled article on this mysterious subject. Beneath the Temple of Hathor at Dendera there are inscriptions depicting a bulb-like object which some have suggested is reminiscent of a “Crookes tube” (an early lightbulb). Inside the “bulbs” a snake forms a wavy line from a lotus flower (the socket of the bulb). A “wire” leads to a small box on which the air god is kneeling. Beside the bulb stands a two-armed djed pillar, which is connected to the snake, and a baboon bearing two knives. In “The Eyes of the Sphinx”, Erich Von Daniken suggested that the snake represented the filament, the djed pillar was an insulator, and the tube was in fact an ancient electric light bulb. The baboon was apparently a warning that the device could be dangerous if not used correctly. The crypts are generally considered to be store-rooms, and only a few are decorated. At the southern end of the temple there are five subterranean crypts. They were thought to house the most valuable of the temple statues and objects including the “ba” of Hathor, used during ritual processions at New Year. A gold statuette of Hathor sat within a large kiosk formed by four gold posts, a gold base and roof. Fine linen hung from copper rails between the posts, so that the goddess remained hidden. According to the texts written on the walls, we know that the kiosk consisted of a gold base surmounted by a gold roof supported by four gold posts, covered on all four sides by linen curtains hung from copper rods. The strange inscriptions are in the easternmost of the small chambers. The temple is constructed of sandstone, but a large block of limestone had been installed in the wall as the surface for the carving. This indicates that the architects went to some effort to allow the production of fine quality carving. We do not know the exact origin of the Djed pillar, but its hieroglyphic meaning (“enduring” or “stability” and sometimes “column”) is not doubted. There is no apparent connection between the concept of “enduring” and the process of insulating, but even if there was, the Djed wouldn´t work as an insulator. In a light bulb, the glass bulb itself insulates the filament, and no extra component is required. The “cable” is described in the text beside the depiction as a symbolic sun barge moving across the sky (in a form which is by no means unique to these carvings). It seems to be a bit of a stretch to describe this as a cable, although I suppose you could argue that the movement of the sun mirrored the movement of electricity. However, the “cable” is attached to what proponents describe as a “socket”, but is in fact a lotus flower. This flower appears in this form all over Egypt, and is always a lotus flower. Furthermore, the text beside the depiction confirms that it is a lotus flower. Unfortunately, it seems that modern eyes have seen what they want to see in an ancient scene without considering the text provided by the ancient people to explain exactly what they were doing. In the carvings, Harsamtawy (a form of Horus known as Horus who joins the two lands), son of Hathor, takes the form of a serpent (although he also appears as a hawk). According to one myth, Horus sprung into existence out of a lotus flower which blossomed in the watery abyss of Nun at dawn at the beginning of every year. The “light-bulbs” are in fact lotus flower bulbs, mythologically giving birth to the snake. Another panel shows the bulb opening into a lotus blossom and the snake standing erect in the centre as a representation of the god Horus. On the southern wall of the last room, a falcon, preceded by a snake emerges from a lotus blossom within a boat. Daumas has suggested that the sacred procession which was held on the eve of the first day of the New Year, began in these rooms. Thus the inscriptions represented the myth which was being celebrated. Of course, the myths have nothing to say regarding lightbulbs, and there is no evidence to substantiate their use from Egyptian remains or text. This is fairly damning as the building of huge stone monuments required the maintenance of detailed and thorough accounts, yet there is no record of any electric devices or the movement of raw materials to create them. Some are still unwilling to entirely give up on the idea. Instead of claiming that the Egyptians used light bulbs under normal conditions, they suggest that the priests performed a ritual which created a small amount of light during the New Year celebrations. Proponents claim that the reliefs describe a three stage process; first the “bulb” is supported by a kneeling figure making three “waves” emanate from the serpent, then the “bulb” is supported by a Djed pillar making four “waves” emanate from the serpent, finally the “bulb” is placed against a vertical Djed pillar causing five “waves” to emanate from the serpents body. The waves are thought to be evidence of a vibratory process increasing in frequency as the scenes progress. This is certainly a more creative theory which neatly avoids the lack of any supporting evidence by claiming that the ceremony was ritual and secret. The problem remains that all of the elements are known to have specific meanings from numerous other sources, and the text confirms those meanings. However, it is still possible that the priests encoded a deeper meaning in the text and images. lights for little people? Dr Z's Green team should be happy! Gadzooks it seems the news is alive with all sorts of exciting developments in the realm of lightbulbs! Here is an article about a group of researchers who have created the smallest light bulb in the world. Zoinks! Stay tuned for the worlds biggest light bulb coming next. Some bright researchers say they’ve created the world’s smallest incandescent lamp, so teeny it’s invisible except when lit. The lamp’s filament is just 100 atoms wide. It is made from a single carbon nanotube. Thomas Edison’s light bulbs also used carbon filaments. But the new filament, created at UCLA, is 100,000 times narrower and 10,000 times shorter than those made by Edison. The filament is big enough to apply the statistical assumptions of thermodynamics, which are longstanding rules about how stuff works when lots of particles are involved, the researchers explained. Yet it is also small enough to be considered molecular, meaning the laws of quantum mechanics — involving very few particles — apply. If no lights went on for you there, be comforted by the thought that all this bears on the hoped-for “theory of everything” that, if discovered, would help explain gravity and how the universe works and also probably put a lot of physicists out of work.